I thought I knew beauty, I thought I knew remoteness and I definitely thought I had a clue about what a healthy marine ecosystem looked like. 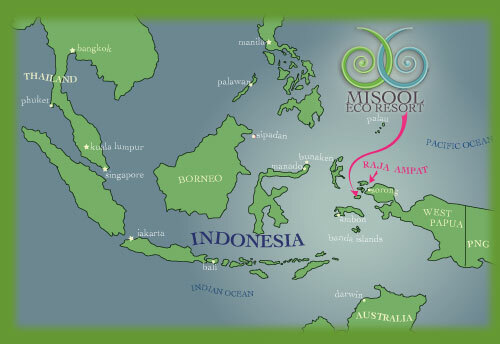 Arriving to Southeast Misool in Raja Ampat, Indonesia I realized I had no idea. Nothing I experienced before could have prepared me for the lush green virgin forested islands or the vibrant blue lagoons and bays. 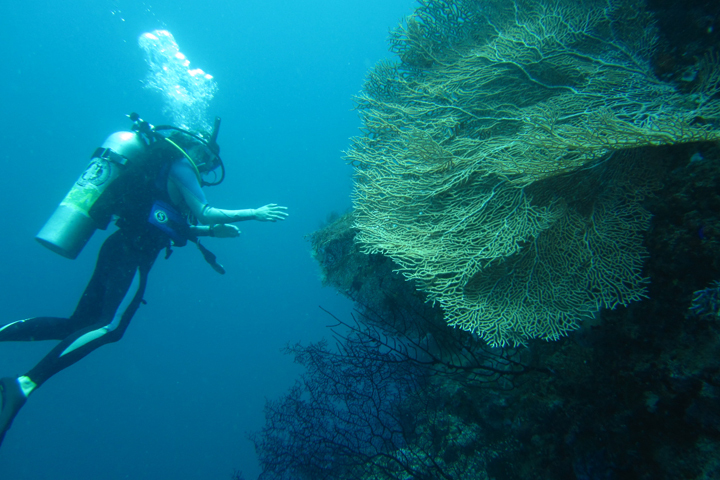 The moment I peaked below the water’s surface, my ideas about what a healthy coral reef was supposed to look like were shattered. Plunging into the water for my first dive, I was immediately immersed in an explosion of life. 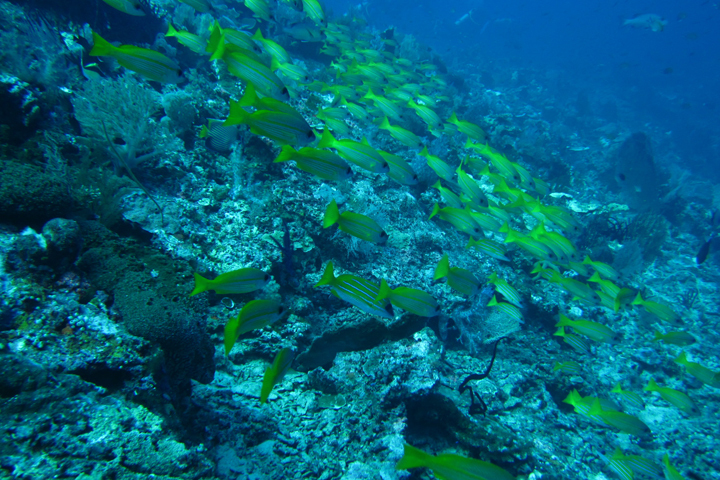 At the surface, iridescent blue Trevallies swarmed amidst massive schools of yellow fusiliers and silversides. 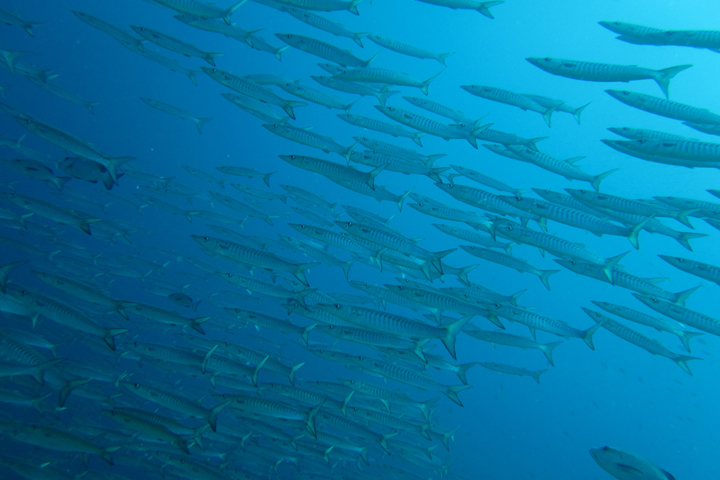 Deeper in the water, I fell among expansive schools of barracudas, their bodies shimmering in the filtered light. 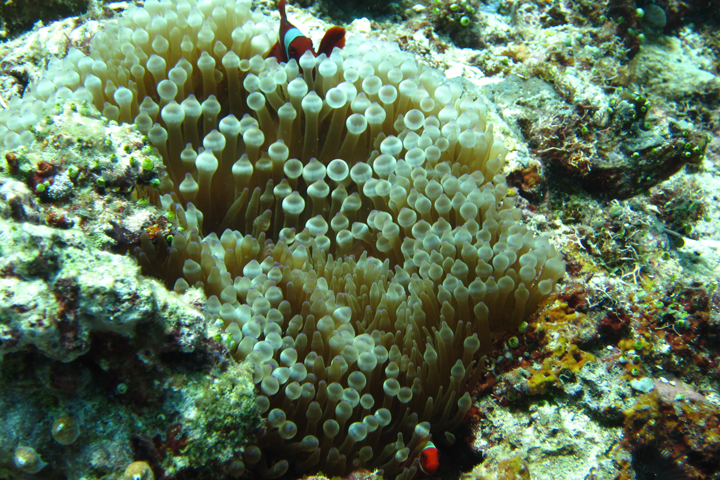 Down on the reef, a dizzying array of fish and animals swarmed, crammed into every square centimeter of space. 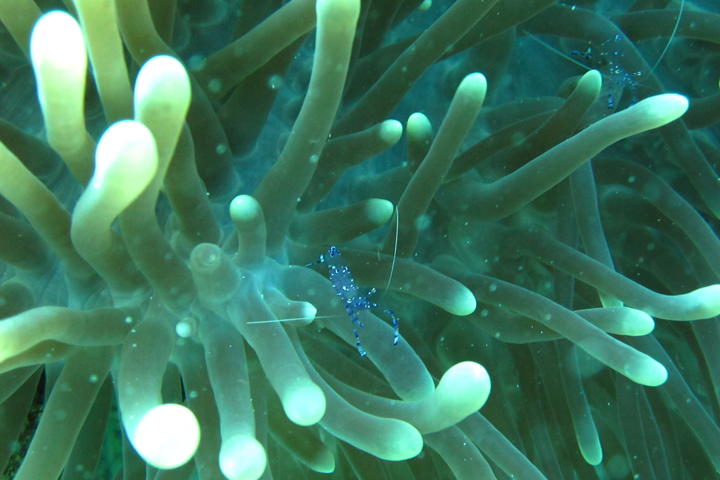 Anemone fish darted in and out of brilliant yellow anemones where translucent blue commensal shrimp scavenged for food. 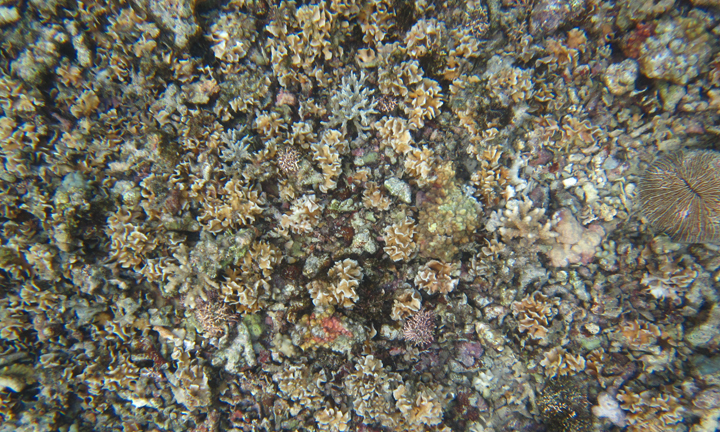 Small blennies and dartfish peeked from behind bubble coral. Tiny purple pygmy seahorses clung to sea fans. 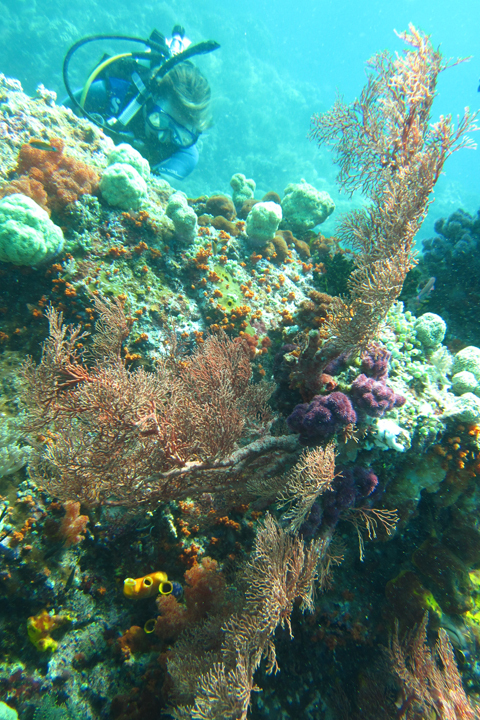 Crimson red gorgonian corals branched three meters out from the sea wall while milky white soft corals swayed in the current. Biodiversity assessments over the last decade have increasingly revealed that Raja Ampat is the heart of global marine biodiversity. According to latest counts, the waters of Raja Ampat harbor more species of fish and coral than anywhere else on the planet. That’s 1,300 fish species and more than 540 species of hard coral, comprising 70 percent of the world’s hard coral species. 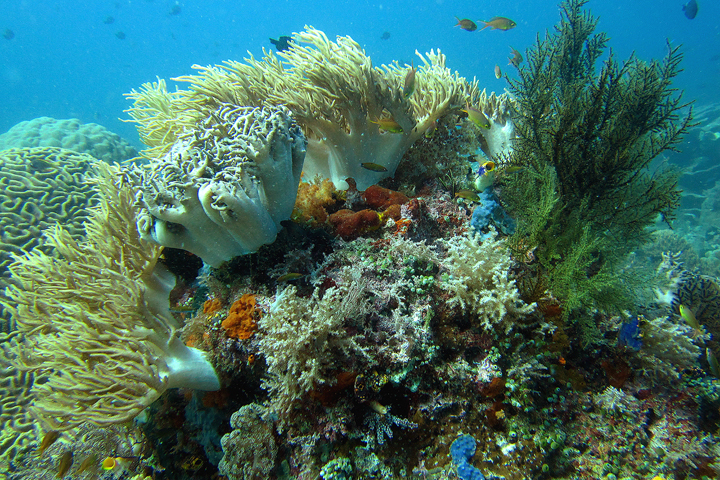 Raja Ampat’s complex confluence of currents connects and disperses species, while carving a rich assemblage of habitats from the limestone islands. These factors, coupled with a historically stable climate gave rise to the remarkable biodiversity seen there today. Pulled by the currents, I moved slowly along the reef, my eyes darting everywhere to take it all in. Suddenly the reef gave way to gray rubble devoid of life as far I could see – the results of dynamite fishing, which is why we are here.